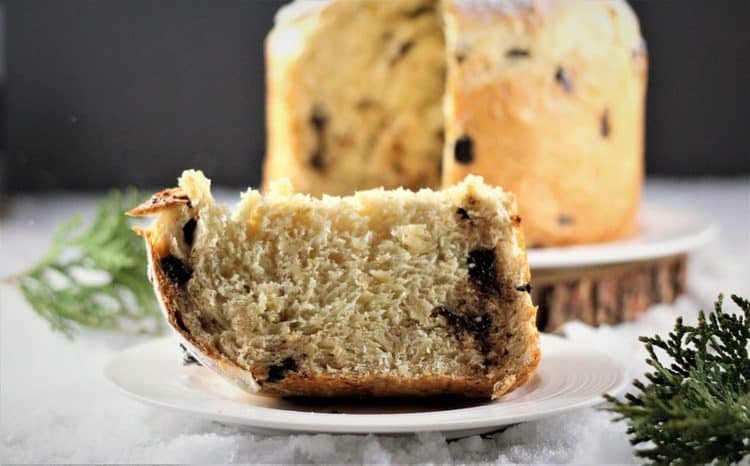 I decided to create a panettone my family and I would enjoy. I’m not crazy about candied fruit or raisins in panettone, so I stay away from those. Since I don’t have much of a sweet tooth I stay clear of the ones with chocolatey creamy centers. I do, however, enjoy a traditional plain Pandoro! When creating my own panettone, I settled on two ingredients that I knew we’d enjoy: chocolate and almonds. I spent some time researching recipes: some took a couple of hours to prepare while others took two days. I experimented with a couple, adding different flavourings and trying different techniques, and finally settled on this one. Is this the same as the panettone you’ll buy at the grocery store? No. Was I trying to mimic those? Maybe a little. So you may ask why would I spend so much time and effort on something I could buy for 8.99$ at the grocery store? Cause I simply love a challenge! I wanted to see if I can create something with great height, that’s fluffy, that has great texture and tastes great. 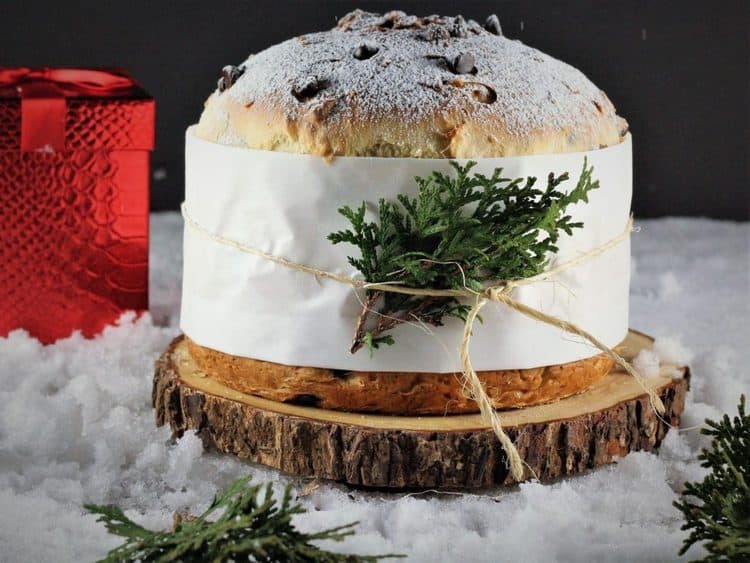 A panettone with the ingredients that I like to eat. I think I succeeded with this Dark Chocolate and Almond Panettone! Yes! molds online but the shipping fees were twice as much as the cost of the molds. No thanks! I rummaged through my cupboards and an inexpensive pot that I purchased at Ikea years ago caught my eye. It was the perfect width (7 inches, just like most panettone molds!) and height (5 inches) to create the right panettone shape. Next, I decided that by lining the pot with parchment paper that surpassed the height of the pot by a few inches, I could get that nice round bump on top and it would be a cinch to ease it out after baking. It worked! If you know how to bake bread then you’ll quickly notice that this process is not much different other than the addition of different flavourings (orange zest, chocolate, almonds, and rum). I decided to use sliced almonds, but slivered almonds would be good as well. It is best to knead in the almonds by hand as they will break into tiny pieces in the stand mixer. I think I need to work on distributing the almonds and chocolate more evenly throughout the dough. It also rises several times and therefore does take longer to make than bread. If you decide to attempt this you’ll have to make sure you have at least 7 hours on hand, but don’t worry, most of that is rising time. Finally, if you have panettone molds on hand instead of the 7 inch pot that I used, you will have to reduce the baking time down to about 45 minutes. If you give this a try with the mold, please do let me know how it turns out. For my kids, the best part of experimenting with this recipe was the never ending supply of panettone to turn into french toast for breakfast. So, make sure you have enough leftover for Christmas morning. Buon Natale from my family to yours! 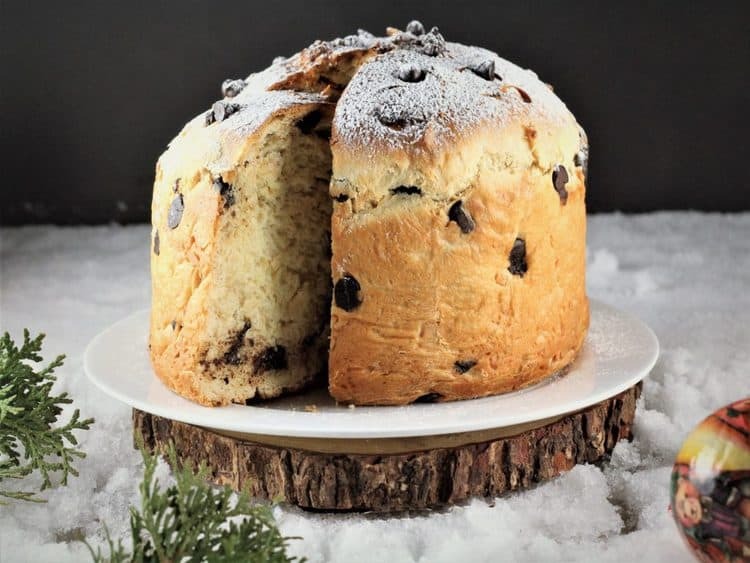 Panettone is a must in every Italian household at Christmas time. I've recreated this classic cake and added some of my favorite ingredients: dark chocolate and almonds. A perfect gift idea! Place the yeast and sugar in the mixing bowl of a stand mixer fitted with a dough hook. Warm water until tepid (just barely warm), pour over the yeast and sugar. Add 3/4 cup of flour. Mix on medium speed until a small dough is formed, about 1 minute. Scrape the bottom of the bowl if necessary to incorporate all of the flour. Cover and allow to rest 1/2 an hour, until doubled in bulk. Meanwhile remove the milk from the fridge. After the dough has doubled, add the milk and 3/4 cup flour. Mix on slow speed for 5 minutes. Cover and let sit 1 hour. Melt butter and allow to cool. In a small bowl combine the eggs, sugar, salt and orange zest. Add to the dough as well as 2 cups flour. Mix on slow speed for 10 minutes. Add rum and vanilla to melted butter. In last 2 minutes of mixing, add the butter mixture to the dough. The dough will be sticky and you will probably have to detach it from the dough hook. Cover and let sit for 1/2 hour. Prepare the pot for baking: grease the bottom with butter. Tear a piece of parchment paper that will fit around the circumference of the pot and that will surpass the rim by 2-3 inches. Butter the parchment paper to seal the edge and place inside. At low speed, add the chocolate chips to the dough. Turn the dough out onto a lightly floured surface and knead in the almonds by hand. Shape into a round dough. Gently place the dough in the prepared pot, cover and allow to rise for 4 hours. The dough will reach approximately 1 inch below the rim of the pot. Preheat to 350F and place rack close to the bottom of the oven. Brush the top of the panettone with milk and bake for 55-60 minutes until the top is browned and it sounds hollow when tapped. After 40 minutes, if the top is sufficiently browned, cover with a sheet of foil for the remaining baking time. Place on a wire rack to rest for 10 minutes before unmolding. Remove from the pot and place on the wire rack to cool completely. Dust with icing sugar before serving. Thanks Maria! It’s not Christmas in an Italian household without panettone, so I figured I may as well create one that I like! Hi Sherry, thank you for your question but unfortunately I do not make these to sell. Give it a try, it's not that difficult. In fact most of the time is rising time. It looks great, Nadia, that shape is perfect! Love that you used a pot you already had and it seemed to have worked perfectly. I do like candied fruits and raisins, but I also like the chocolate chip ones. So I am sure I would love this one, especially with the slivered almonds on top. Thank you for doing the hard job for us, trying different recipes and adapting them to "the one". Now we have yours to follow! Thank you, it was fun experimenting and my kids certainly had fun tasting all the results! I do love a challenge. Buon Natale to you both! 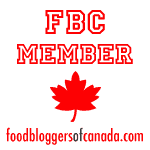 Thank you so much for sharing as usual your recipe is well explained and easy to follow! Also all ingredients are available and easy to find and on top of everything your presentation is so beautiful and I’m sure your panettone ate delicious ???? thank you so much for sharing ???? Yes, I wanted to make it as easy as possible with ingredients that are accessible. If you give it a try, please do post a photo of it. Thanks for your comment Rosa! Hi Angela, I have not tried to make a vegan version of this recipe. 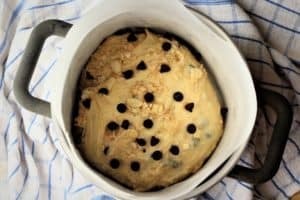 However, I found this website: https://www.thekitchn.com/5-vegan-substitutes-for-eggs-in-baking-tips-from-the-kitchn-136591 which gives some very helpful tips on how to replace eggs in recipes. Of course, I can not guarantee the results as I haven't tried myself. If you do give it a try, please let me know how it turns out. Thanks for stopping by my blog! It’s my pleasure Angela, unfortunately I have not tried using any egg replacements myself. I hope one of the many options listed in the link I sent you could work. Merry Christmas to you and yours as well! We always have panettone for Christmas breakfast...whether it's toasted with butter, or fried for French toast, it's always a favorite. But(!) I've never made it myself. I love your recipe! Beautiful! Beautiful! We also have the leftover as French toast on Christmas morning. 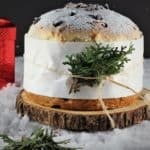 I especially love it with pandoro! I’ve been wanting to attempt this for years and I’m so glad to finally get it right. Thanks Annie!